Steven Adams gets his strength from sports, fans, and a good beef steak. Steven Adams, known to many as the center for Oklahoma City’s professional basketball team, is more than the first first-round pick to come out of New Zealand in NBA draft history. 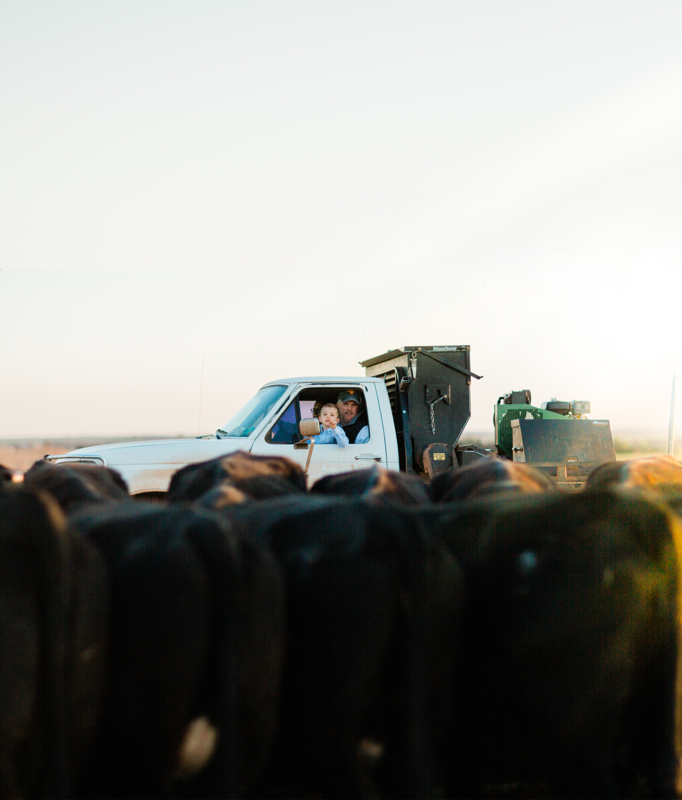 He’s a supporter of Oklahoma’s farming and ranching community, because at the end of the day he’s equal-opportunity when it comes to beef on his dinner plate. First and foremost, what’s your favorite cut of beef? It’s the Tomahawk steak. It’s can feed a family of four or maybe eight, but I smash the whole thing. The Tomahawk steak is a long-bone, rib-eye steak that averages between 36 and 40 ounces. It’s a meal for an entire family or a 7ft+ professional basketball player. A serving of beef is 3 ounces of trimmed and cooked goodness. Learn more. What is a typical week like for a professional basketball player? Eat, train, eat, practice, eat, sleep, repeat. When I have a break, I am a gamer. growing up, YOU SPENT TIME on a farm and you have talked about how you wanted to be a farmer growing up, why? I loved the hard, physical work of farming and working on the land. From building fence to calving and feeding - you name it and I have done it on the farm. You feel useful. The business of it is interesting. I learned more about math and sciences working on the farm through practical application than I ever did in the classroom. I also liked the routine of it. No matter what is happening, the animals must be fed and cared for every single day. They don’t care if you are sick or just not feeling it, just like on the court. Do you see any similarities between farming and ranching and basketball? Yes, both take commitment and hard work to be successful. On the court, your commitment is to your team, your teammates, and the fans. On the farm, it’s to your family, help, animals and land. Also, you quickly learn, the animals get taken care of first on the farm. Is beef an important part of your diet? It is important, because I love beef and I know it’s probably good for me, but I eat it because it tastes good. Yes, it does taste good, Steven, but it also provides 10 essential nutrients including protein, zinc, iron and B vitamins. In fact, if there was a protein contest, beef would surely be crowned the king! One 3 oz. cooked serving of beef provides about 25 grams of protein, roughly 50 percent of an adult’s Daily Value, of this important nutrient that supports strong, lean bodies—making it an excellent source! (So we refer to the Daily Value of the average adult, not the average NBA player who is 7”1’) Visit our Beef Facts page. It’s mince pie. Mince is ground beef in New Zealand and it is a savory pie, not a sweet one. They are available everywhere in New Zealand from petrol stations to bakeries. For Steven’s favorite snack, here is a recipe from Gourmet magazine. 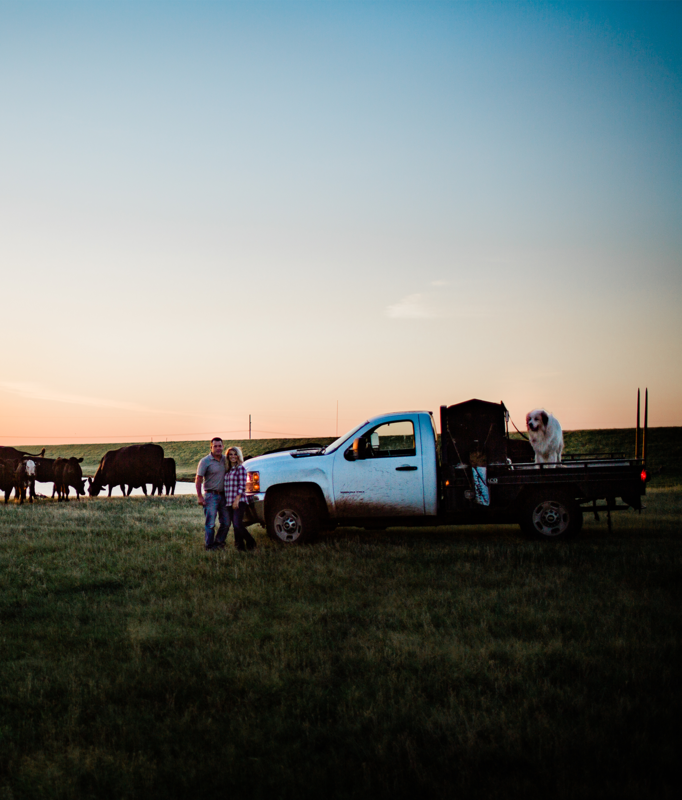 As part of your partnership with the Oklahoma Beef Council, you receivE a monthly box of steaks. Other than the Tomahawk, what other beef cuts would you like in that box? So, we have to ask, do you cook or grill? I am no Gordon Ramsay, but I know my way around a BBQ. My desire to grow as a player and improve on and off the court is a primary source of strength in my life. I’m fortunate to have always had an incredible support system of mentors, family, and friends. That’s only been elevated as I’ve been welcomed into the Oklahoma City community. The people. Playing ball in Oklahoma is the closest I get to feeling like I am back home. It is quiet and free of distractions. I play basketball, participate in community events and play on my X-Box. I can’t imagine playing anywhere else. Every night the arena is packed with people who care about us [the team] like we're members of their own family. The opportunity I had to spend the day with Oklahoma’s farmers and ranchers was incredible. It was very hot that day, but everyone was a good sport. I get paid to defend the goal and make a bucket or two, but they’re working through inclement weather, weekends and holidays to ensure I have a good steak. Finally, you were an extremely good sport the day of the video shoot. What was your favorite part of film day? Steven, when you're ready to spend the day chillin’ on a ranch without a camera in your face, we can set that up for you.